The hairy violet is usually found on calcareous grasslands, often among rocks and in scrubby areas. 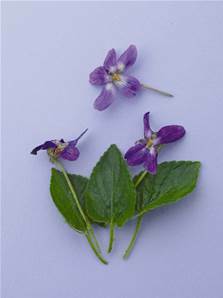 The flowers are pale violet-blue and unscented. Both the flowers and the leaves grow straight up from the base and seeds are buried around the plant.